Everyone loves fish and chips, don’t they? It’s one of those universally appealing meals that’s hard to truly hate. I mean, it’s a big old plate of deep fried goodness. But it’s surprisingly difficult to find a place that does it really well (without a plane ticket to the UK, at least). It’s such a simple dish, but sometimes the simplest meals are the toughest to pull off. It’s just fish and batter; if your technique isn’t perfect, there’s nowhere to hide. 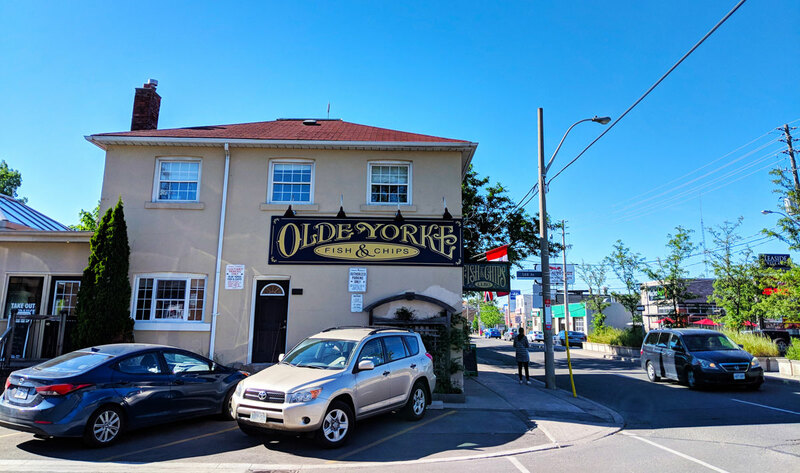 I got the haddock and chips from Olde York, and while it was certainly tasty, there were a couple of things holding it back from being much better than okay. 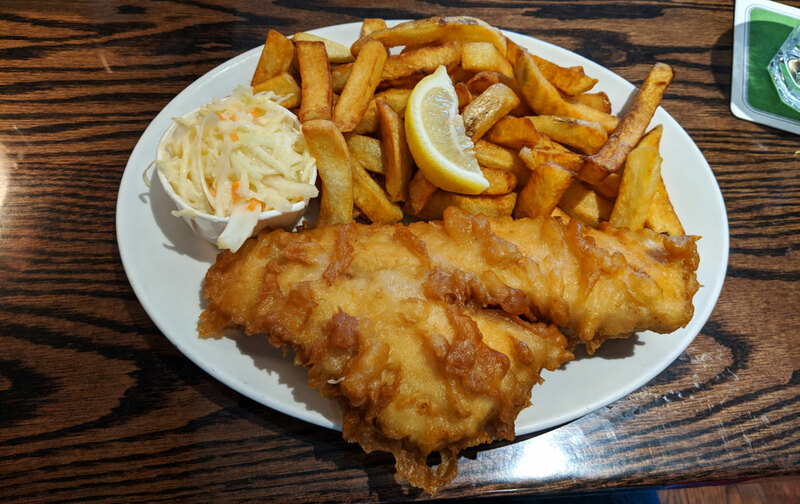 A lot of fish and chips joints tend drop the ball with the batter itself; so many places over-apply it, resulting in a thick and crunchy shell that overwhelms the fish. And while Olde York isn’t the worst offender in this regard, the batter was definitely too substantial. It’s also easy to overcook the fish, and alas, that was an issue here as well. It wasn’t too blatant, but it was dryer than it should have been. 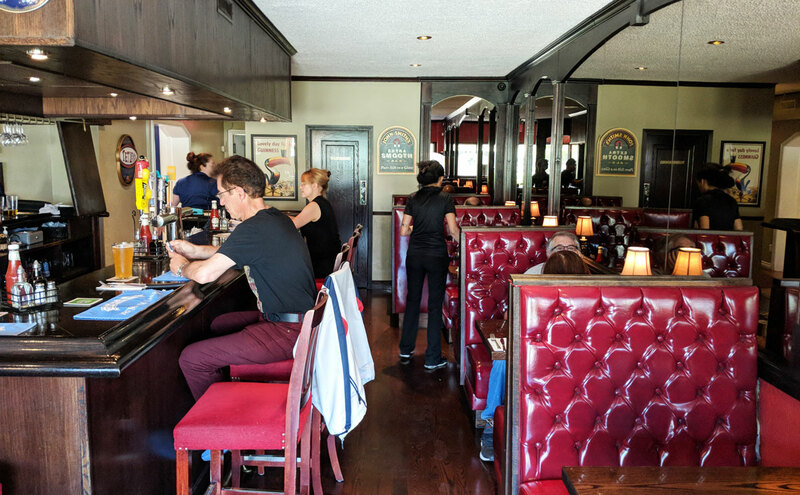 I don’t want to make this a complain-a-thon, because I actually did enjoy it… but the fries could have been crispier and the tartar sauce was way too sweet. But that’s the thing about fish and chips: even when it’s not perfect, it’s still so satisfying.